DAVID LE/Staff photo. 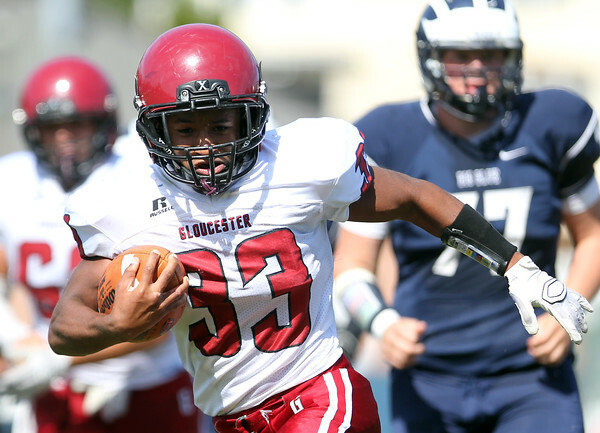 Gloucester running back Jermaine Edward outruns the Swampscott defense to the end zone for another long Fishermen touchdown. 9/26/15.